Master Andrada was only 7 years old when the terrorist attack on the twin towers occurred but it has deeply affected his life. Master Andrada wasn’t in NY city at the time of the attack. In fact, he’s never been to the United States. This boy was born and has lived his entire life halfway around the world in the Philippines. 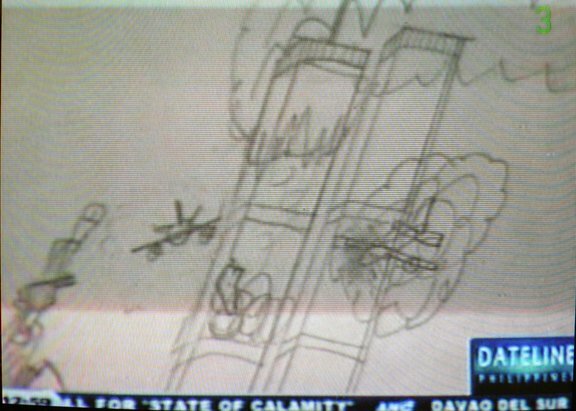 Master Andrada has become obsessed with the topic of the Twin Towers attack. At first he began to draw pictures of it. Then he started to recreate the New York City skyline. 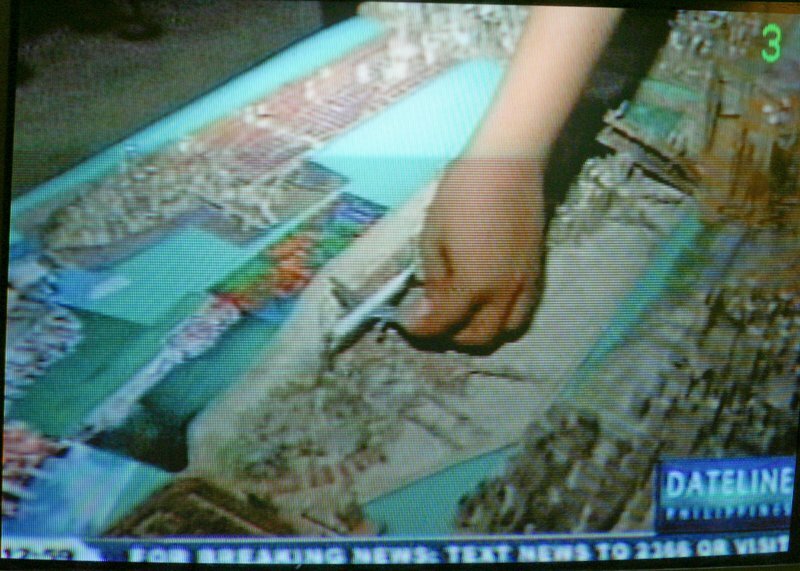 His current small scale model has removable twin towers. 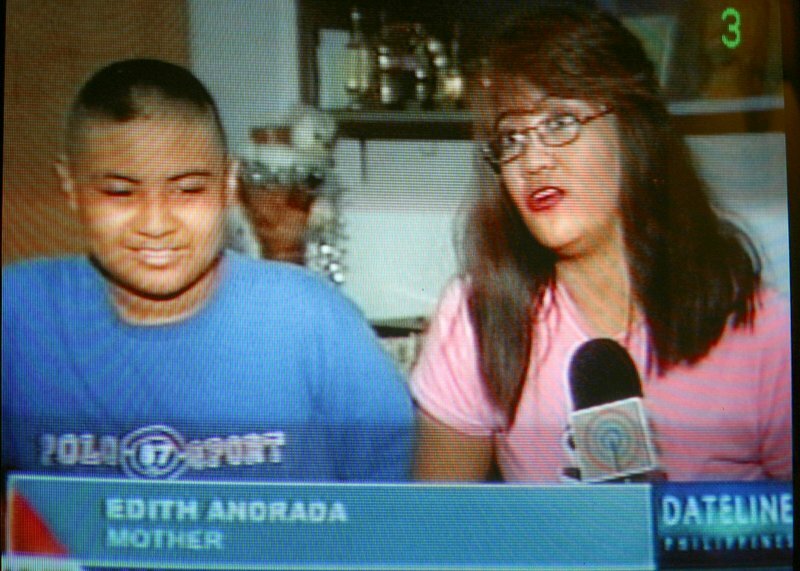 His story was featured on the evening news the other night on ABSCBN in the Philippines. He appeared with his mother, who told us that he has been diagnosed with autism. Although he is in somewhat handicapped by his condition, his IQ is reportedly 133. He has hopes of coming to the US someday to study architecture. Master Andrada has a lot in common with the George W Bush, the president of the US. George Bush admits that 9-11 changed everything for him as well. George W. Bush also has shown the same obsessive behavior, but instead of making constructive models of NY City, the president focuses destructive energy on Iraq, a nation that had nothing to do with the attack on NY City. I wish that the US devoted more of its money to special education for persons who are afflicted with problems and for others so they can recognize a problem when they see one. The goal is to have persons with propblems receive professional guidance to help them to channel their energy in productive ways. That is great! I collect autistic and outsider art and books about it. 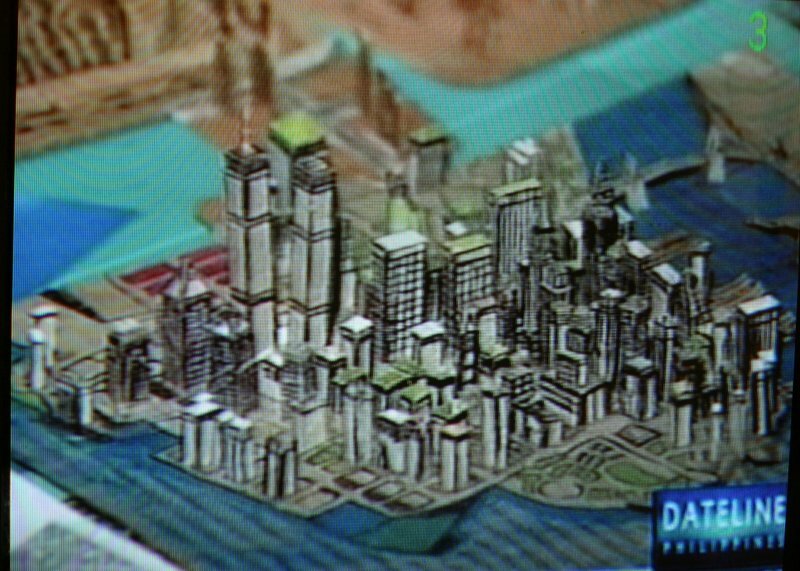 I would like to post a link for another autistic savant genius architect-of-the-future. at a glance & duplicate it & could do so as a very young boy. He lives in the UK. Bush is also set to veto the Children's Health Program, which is up for renewal. Number of Buddhist monks protesting in Myanmar (Burma) has grown to a reported 100,000. In the initial days of the protests, the public did not appear to be involved - commentators suggested that they were too scared of retaliation. But this has gradually changed as the demonstrations have grown in size. Footage of one protest showed people lining the route as the monks marched, forming a chain to protect them from any retaliation from soldiers. This is what Democracy looks like - when we don't impose it - it grows from within. But Myanmar doesn't have oil. 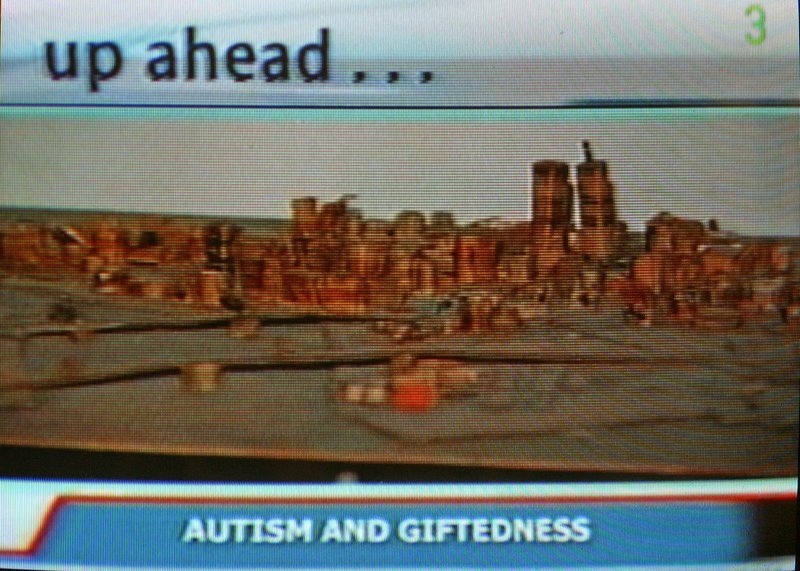 By the way - ought to post a link to the autism story on some autism and aspie blogs! Very cool stuff on the kid from the Phillipines with autism. We have a kid here in keene with autism who has extraordinary architecture skills. Here I am over at Larry Welkowitz' blog visiting! Thanks for coming by!